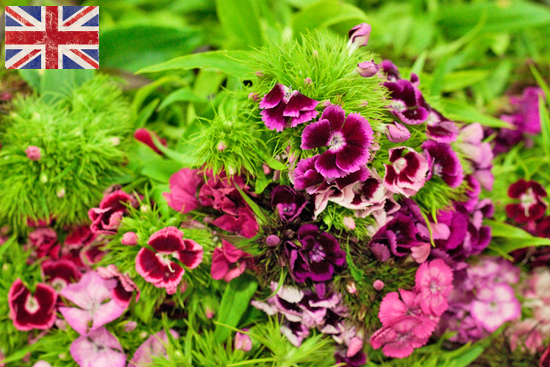 On Day Two of British Flowers Week: Discover all about British Sweet Williams, the focus flower for British Flowers Week of Hybrid. Part of the dianthus family and a popular British garden plant since the 16th century, Sweet Williams are, in fact, native to southern Europe and parts of Asia. The earliest recorded references to them appear in the garden catalogue of botanist John Gerard in 1598. Legends abound as to how dianthus barbatus derived its more common name. Could it be Prince William, Duke of Cumberland, Saint William of York or William the Conqueror? The popular, more romantic, vote would tend towards William Shakespeare. To the Victorians with their love of the language of flowers, Sweet Williams signified gallantry. 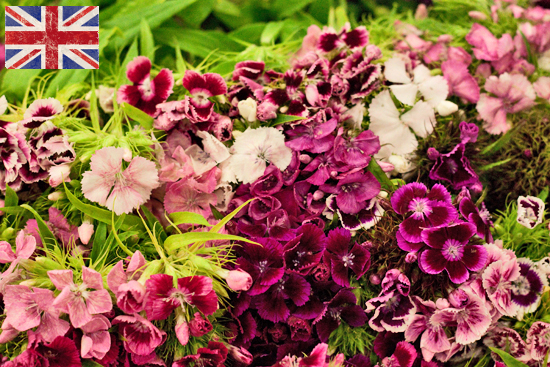 Generations later, the Duchess of Cambridge included the white Sweet William in her wedding bouquet – in honour of her own gallant Prince, no doubt. The flowers of Sweet Williams are held in dense clusters of up to thirty at the very top of their straight, rigid stems. The colour palette of the blooms ranges from pure white through shades of soft, warm and vibrant pink to rich, dark reds. Sweet Williams have a characteristic spicy, clove-like fragrance, evocative of the British summer garden. To the creative mind of Alan Simpson, florist and co-owner of Hybrid, Sweet Williams are the stuff of florists' dreams. Blessed with a long vase life, Sweet Williams can be used for contract work or wired for more delicate designs. They can be pared down for a minimalist, corporate look, or used in dramatic colour blocks for added impact. "Sweet Williams are so exciting and fresh, how can you not love them?" enthuses Alan. 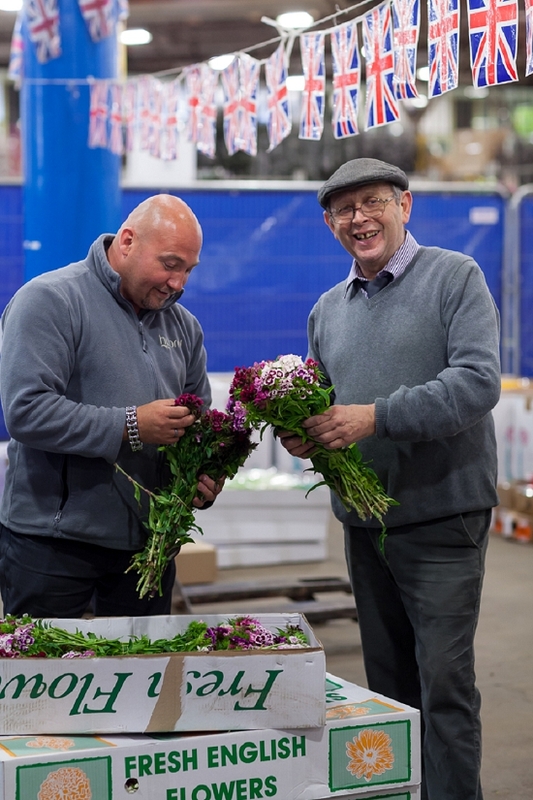 In a normal year, British Sweet Williams make their first appearance at New Covent Garden Flower Market in May and remain in season until September. They are remarkably cost-effective flowers and remain great value through the season. They are generally sold in boxes of mixed colour, which Alan advises sorting into three dominant colour groups (white, pink and red) at the workshop. Sweet Williams are amongst the easiest flowers to keep looking fantastic. Simply ensure all leaves are removed from below the water level, put the stems in water with diluted flower, and they should last well over 7-14 days if kept topped up. 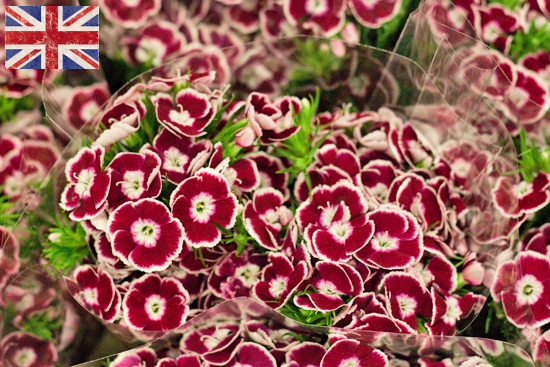 The peak season for British-grown Sweet Williams runs from May to September. They are generally delivered fresh into the Flower Market from the growers for Monday and Thursday trading.